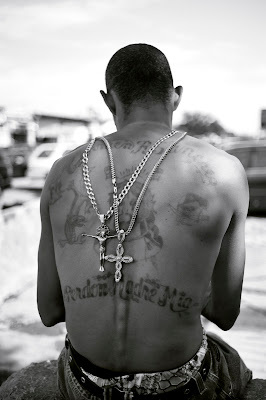 Elizabeth Avedon: In the past, you've documented the circus performers of El Circo Rey Gitano in Guatemala. 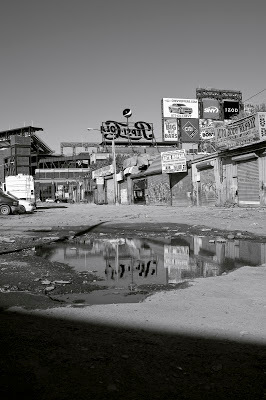 What drew you to photograph in Willets Point? Jaime Permuth: The Guatemalan poet Alejandro Marre recently described my work as coming from the “B-side of life”. Considering these two projects, I would have to admit that there is some truth to that statement! Circus life is like a revolving door, with people walking in and out of it constantly. The same is true of the mechanics that work in Willets Point. There is an essential mystery and poetic richness in this kind of human community. People tend to live on the margins of society and play by their own rules. In my experience, photographers are not that different. We go from one project to the next. We arrive, set up camp, and then inevitably pick up and leave so we can move on to our next destination. For the past 40 years the mechanics in Willets Point have been locked in a battle for survival with the City of New York, which wishes to evict them and redevelop the area as mixed residential and commercial neighborhood. Occasionally there is a flare up in tensions that make it to the newspapers. One fine day in spring of 2010, curiosity got the best of me and I took a ride on the 7 train to take a look for myself. What I saw there was absolutely surreal; I felt like I had stepped back in time and found myself a figure standing in a Walker Evans landscape from the Great Depression of the 1930’s...read Jaime Permuth's Interview here on Le Journal de la Photographie. I throughly enjoyed reading this and getting to know more about you and your work!! Wonderful interview, Elizabeth! Congratulations - that's a great interview, Jaime Permuth! Congratulations Alumni & Faculty Jaime Permuth on a wonderful interview with Faculty Member Elizabeth Avedon on Yonkeros.